Owlstone Medical will partner with Renji Hospital in Shanghai to conduct a clinical trial assessing the Breath Biopsy diagnostic breathalyzer platform in early detection of lung cancer, through a collaboration that marks Owlstone’s expansion into China, the partners said today. Under the collaboration, whose value was not disclosed, Owlstone Medical and Renji Hospital agreed to jointly conduct a first-of-its-kind clinical trial in China, to be led by Professor Li-wei Wang, Director of Oncology at Renji Hospital. 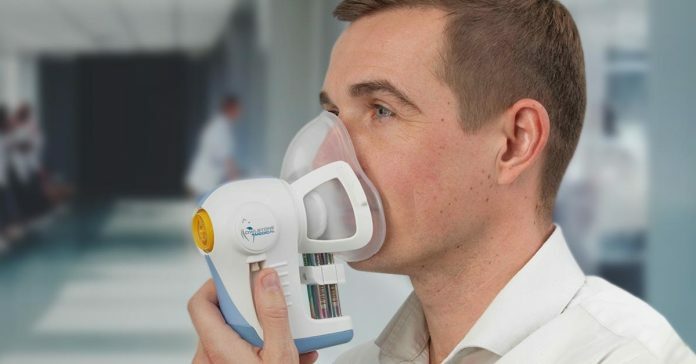 Owlstone Medical has agreed to provide its Breath Biopsy technology, including breath collection stations, analytical instrumentation, and the procedures and training necessary to support the lab’s operation. To provide operational support for the study, a Breath Biopsy laboratory will be established at Renji Hospital. The lab will support additional research studies in cancer and other areas that the partners have also agreed to carry out beyond the clinical trial. The trial is being conducted with support from the Li Ka Shing Foundation, which said in a separate statement that it is committing $2 million toward the Breath Biopsy study and a separate study not involving Owlstone Medical or Renji Hospital. The Foundation cited China’s high cancer mortality rate—1 in every 4 deaths are caused by cancer, with lung cancer having the highest mortality rate in China—as well as national statistics showing approximately 700,000 new cases are diagnosed each year, with about 600,000 deaths resulting. Owlstone Medical co-founder and CEO Billy Boyle stated that expansion into China through the establishment of the Breath Biopsy lab, and the development of collaborations represented an important part of Owlstone Medical’s strategy, citing the opportunity to access the large healthcare networks and “substantially” accelerate clinical trials in the world’s most populous nation. In addition to the Breath Biopsy study, the Li Ka Shing Foundation is supporting a study by US biopharma startup Evolve Biosystems and Zhejiang University’s College of Animal Science focused on antibiotic-free animal farming. The study will assess use of Evolve’s proprietary probiotics, designed to ensure healthy piglet growth. This research, dubbed “Probiotics to Replace Antibiotics,” aims to combat the huge threat to health and our environment caused by antibiotics abuse, the Foundation stated. The Foundation —established by the billionaire who has been reported to be Hong Kong's richest man—added that the Evolve and Owlstone Medical studies reflected its commitment to advancing tech through partnerships.